More pupils in England were taken out of school to go on holiday in the last academic year, government figures show. Around one in six youngsters (16.9%) missed at least a half day of lessons during 2016-17, compared with 14.7% in the previous 12 months. The figures also show that the proportion of parents being fined for taking their children out of lessons without permission has fallen. The data covers the time of a father's court case over a term-time break. 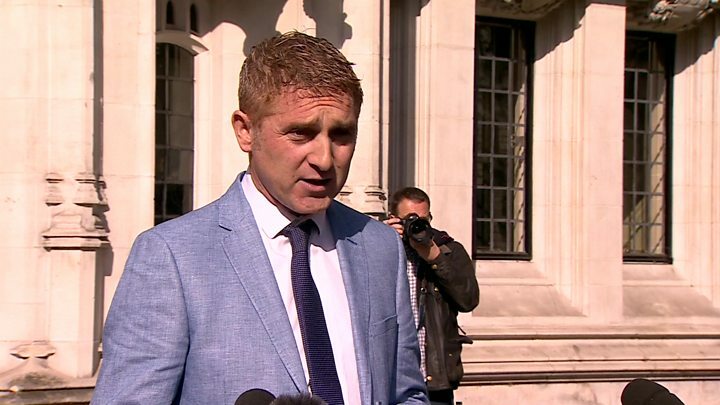 Jon Platt, from the Isle of Wight, won a high-profile High Court case in May 2016 over taking his daughter out of school for a holiday to Disney World, Florida, without the school's permission. The latest Department for Education (DfE) figures suggest that after this ruling, many mothers and fathers took decisions to take term-time breaks, thinking it was unlikely that they would face action as a result. But Mr Platt's case was later referred to the Supreme Court, where he lost in April 2017. He was also given a 12-month conditional discharge and ordered to pay £2,000. A spokesman for the DfE said: "Children only get one chance at an education and evidence shows that every extra day of school missed can affect a pupil's chances of achieving good GCSEs. "Therefore we believe that no child should be taken out of school without good reason - and the Supreme Court agrees with us. "The rules on term-time absences are clear and we have put schools back in control by supporting them - and local authorities - to use their powers to deal with unauthorised absence." The overall unauthorised absence rate - pupils missing lessons for any reason without permission - rose from 1.1% to 1.3% between 2015-16 and 2016-17. According to the statistics, the rate is at its highest level since records, covering state schools in England, began. 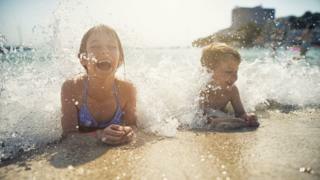 "This increase in unauthorised absence is due to an increase in absence due to family holidays that were not agreed by the school," government statisticians said. Separate data published by the DfE shows the number of penalty notices issued to parents for their child's unauthorised absence dropped by 5.4% between 2015-16 and 2016-17. The majority of fines issued - more than three-quarters (77.5%) - were for unauthorised holidays, the statistics show. Separate figures on penalty notices show there were 149,321 fines handed out in 2016-17, compared with 157,879 the previous year.